Big Family Little Adventures is all about Days out and Holidays with our Seven Children. Big Family Little Adventures highlights the stress and fun of Travel, but with the often un-catered number of children. Looking at difficulties in finding suitable accommodation feeding children when out and discovering places to go that all the children ( three girls and four boys aged five to twenty) actually want to go to. Its not all about money but with Seven Children attractions can be costly, and we will look at some of our trips which have worked but have not cost the earth, however some attraction are really worth the visit and we will showcase these. If we find any great places or good value deals we will let you know about those too.If you have a Big family you will know the difficulties, and we aim to offer practical ideas to overcoming these and ensuring Holidays and Days out become childhood memories they will treasure. If you are looking for a travel blog that tells you the wonders of the world and first class air travel with one or two children, then this is not the one for you, but if you would like to read about a larger than average family having fun and enjoying themselves, read on. Asa has worked exclusively in the Tourism and Leisure Sector since graduating from University with a degree in Leisure and Tourism Management in the Mid 1990’s,he has held positions in both the Public and Private Sector working at a Senior management level in Tourism Strategy, Marketing and Development as well as Sports, Events, Arts and Heritage. He has also worked at Attractions, Leisure Centres, Golf Clubs, Ice Rinks, Outdoor Pursuits Centres and Holiday Parks, as well as front of house roles in the food and drink sector, whilst studying. He has spoken at National and Regional Conferences and been a representative on National Tourism Committees.Asa now works as an Independent Tourism and Leisure Consultant with a specialism in Destination Management and is joint partner in AJ Morrison Enterprises. Mandi holds a degree in Childhood and Youth Studies and has held a number of roles working with children including Pre-Schools, Holiday Schemes, Creches and as a Professional Nanny. She is a partner in AJ Morrison Enterprises, a Social Media and PR company specialising in Leisure and Tourism businesses. She has been an active blogger since 2011, and runs five successful blogs, check out the sidebar for links. She is an avid reader and enjoys gardening when she has the time. Mandi enjoys holidays, and is often seeking the rare occurrence of peace and quite, which is often elusive with seven children and a Husband that won’t sit still. 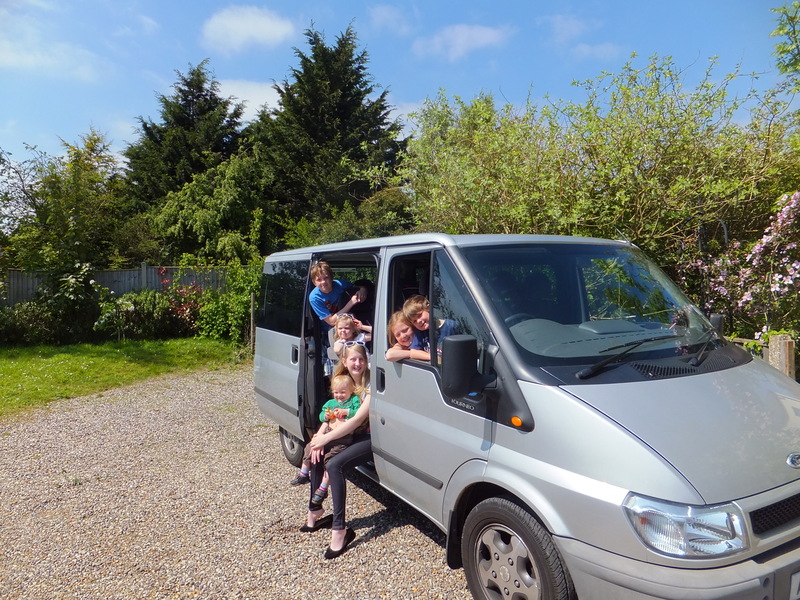 We are a big family (Xene 20, Lochlan 18, Neva 15, Kaide 13, Eowyn 9, Tyrus 7 and Viggo 5) and we have always said to the children we are going on a little adventure, hence where the name originates, this has been mostly in the UK over the last twenty years, with the occasional overseas trip. Our Days out are always child orientated and our Holidays are a mix of Self Catering Cottages, Caravans, Apartments and Occasional Camping, we found we really outgrew most hotels when we had our 5th Child! Although if you are a hotel that can cater for us all, please do get in touch over on our Contact Us Page! I would be most interested in your thoughts on my muggi tray recently sent to you bu Millets.